Free Pick-Up Service in your Hotel is included for these Areas: Phi Phi Islands Tour by Speedboat from Phuket offer Free land transfer from Patong, Kalim, Kamala, Kathu, Kata, Karon, Phuket Town, Chalong. 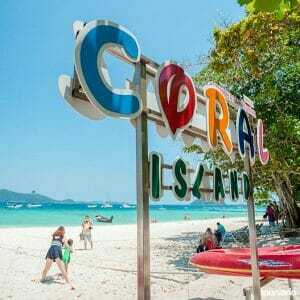 Only 200 Thai Baht extra charge per person for land transfer round trip from all other locations in Phuket. Extra charges for land transfer will be paid in cash during the tour. 7.30 AM to 8.00 AM Enjoy air conditioned minivan transportation for the pick up from your hotel to the pier. At the Pier a light breakfast will be available. Let’s start this full day trip to Koh Phi Phi. From 9.00 AM to 12.00 AM Phi Phi Islands Tour by Speedboat from Phuket will departure, speedboat riding approximately 1 hour, sightseeing and snorkeling. 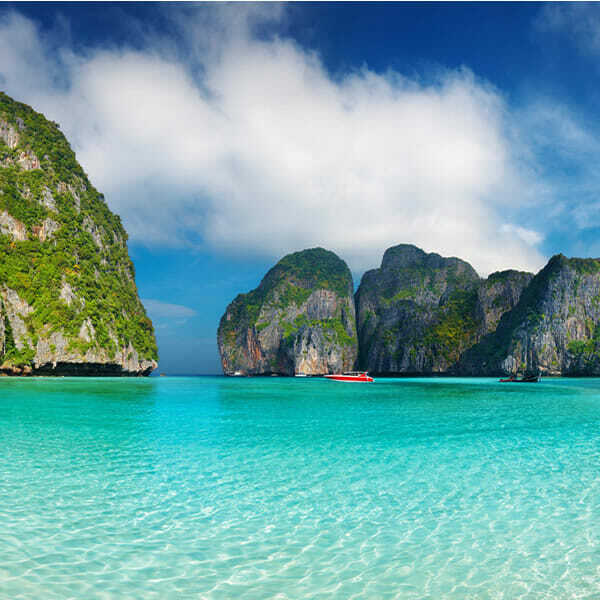 After briefing enjoy departure to Phi Phi islands and also free soft drinks on board, arrived at Phi Phi islands we will explore and relax at Maya Bay, you will be free to swim with colorful tropical fishes and to enjoy sightseeing and snorkeling free time. The tour will also bring you to visit Monkey beach, the famous bird nests Viking cave. An amazing moment of the tour is always the part where we enter the Pileh Lagoon for snorkeling and swimming time, with colorful tropical fishes, an incredible background of very beautiful and impressive cliffs. 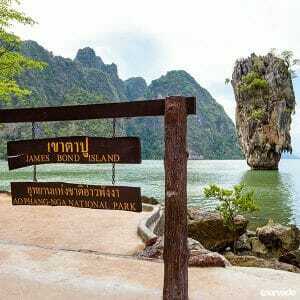 ( with Phi Phi Island by Speedboat Itinerary alternatively we can visit the backside to access Maya Bay, in case for very low tide, for amazing picture shooting. Phi Phi Islands Tour by Speedboat from Phuket will not miss anyway the stop in Pileh Lagoon and eventually have a great buffet lunch at a beach restaurant on Phi Phi Don, cause in this case we will enjoy Khai islands later in the afternoon or earlier in the morning depending on the tides) In order to sort out the best Phi Phi Island tour by speedboat all the itinerary is adjusted daily for you to enjoy in the best way every moment, to get the best out of every stop, to try to encounter as less other crowds as possible. 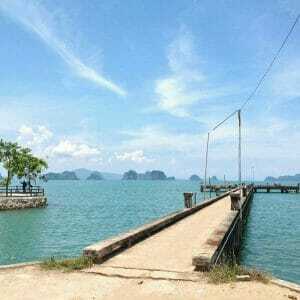 From 12.30 AM to 14.00 PM we actually depart to Khai Nok island for other delightful snorkeling and relax time, you can be on the beach, you can enjoy an attractive buffet lunch at beach restaurant, delicious Fried mix Veg., Thai noodles, rices, fried chicken and fried fish, squid soup and Veg. salads, seasonal fruit. 14.00 PM to 15.30 PM here is coming the best relax time of the day with free time on the beach. About 4.00 PM to 4.30 PM we will organize to return, so we depart from Khai Nok to Phuket and we will organize your free transfer back to the hotel. Phi Phi Islands Tour by Speedboat from Phuket. Phi Phi Island by speedboat is an astounding full day trip by speedboat, from Phuket to Phi Phi you will reach all best sceneries and spots for swimming and snorkeling. This speedboat tours are the absolute best in terms of reaching shallow waters and docking directly on the beaches to make you fully enjoy every single place without hassle. Enjoy a great variety of choices with snorkeling gear always your disposal for free. Enjoy this tour ride on premium speedboats with Professional Tour Guide and experienced Crew and Captain onboard with you and always at your service! 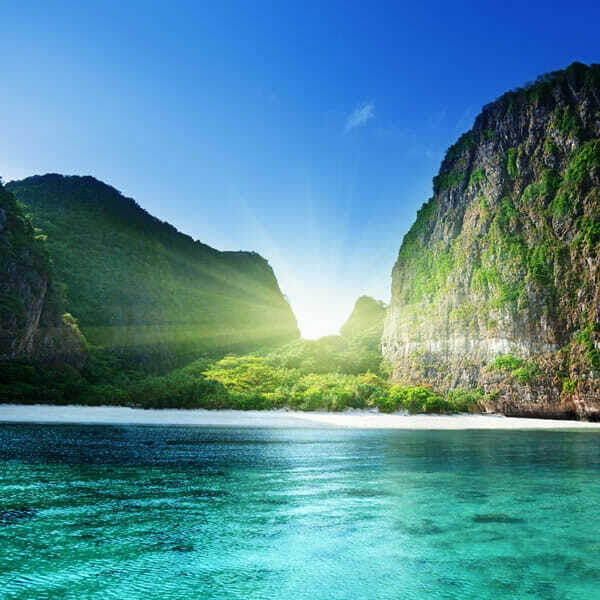 Phi Phi Islands Tour by Speedboat from Phuket endure a really stupefying sightseeing adventure, be impressed with breathtaking views of Maya Bay and all superb surroundings of Phi Phi Leh and Phi Phi Don. Enjoy with us sumptuous lunch at beach restaurant because you will be spending the rest of the time on this tour swimming in the turquoise waters, relaxing on the white sandy beach or snorkeling in stupendous waters. This trip by speedboat will just takes about 1 hour to reach these islands which are the actual most popular tour destinations in Andaman sea, as the islands are a perfect place to endure natural water activities, such as snorkeling and swimming, being surrounded always by stunning backgrounds, taking memorable photographs of every moment. 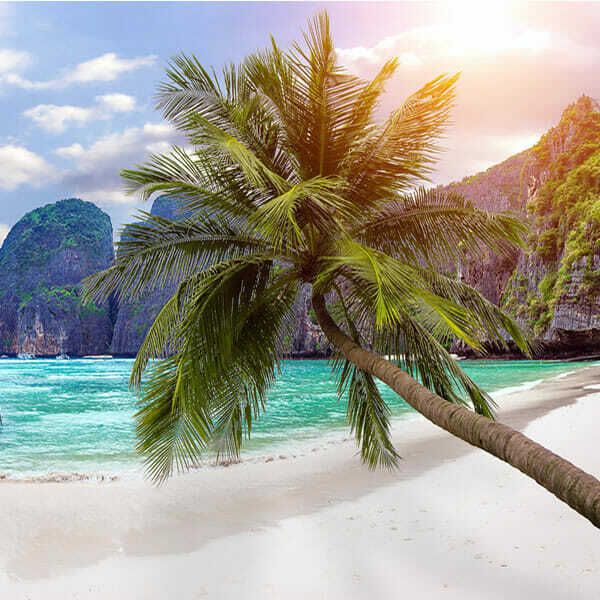 Transfers Fee is not included to: Phi Phi Islands Tour by Speedboat from Phuket offer Free land transfer from Patong, Kalim, Kamala, Kathu, Kata, Karon, Phuket Town, Chalong. 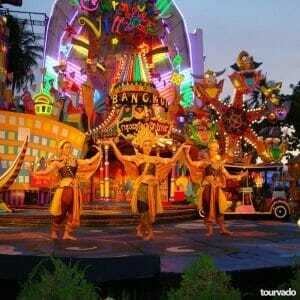 Only 100 Thai Baht extra charge per person for land transfer round trip from: Surin, Laguna, Bangtao beach, Thalang, Siray Bay. 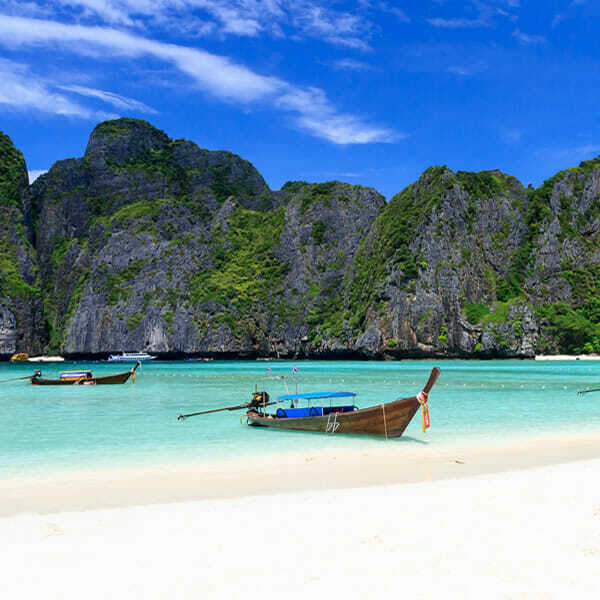 Phi Phi Islands Tour by Speedboat from Phuket program may change depending on tide and weather conditions, the itinerary and timing above are approximate and may be modified without notice to fit the tide and local weather conditions. Free transfers are included in your Hotel for these Areas: free land transfer from Patong, Kalim, Kamala, Kathu, Kata, Karon, Phuket Town, Chalong. 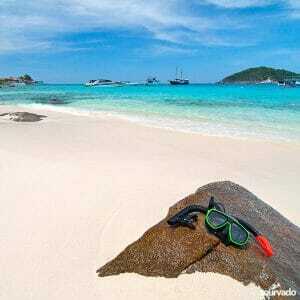 Only 200 Thai Baht extra charge per person for land transfer round trip from all other locations in Phuket. Person and will be paid in cash during the tour.